Couples counseling is a very helpful way for you to deal with the difficulties you may be having in your relationship. Having the same argument over and over. Feeling empty or distant in the relationship. Lack of affection or low interest in a physical relationship. Many couples resist couples counseling, meanwhile, their relationship continues to worsen. 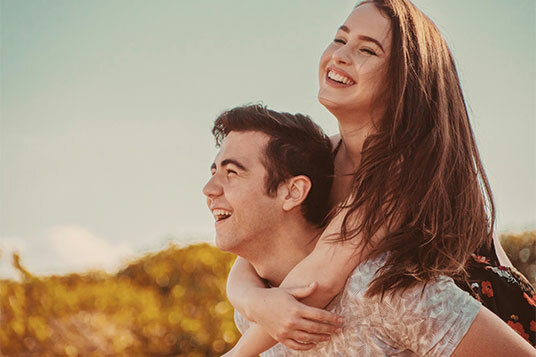 At Novus Relationship Counseling & Recovery Center we use several proven relationship counseling techniques to help you build the relationship you want. We approach couples counseling as a journey together with a proven roadmap, where each person takes an equal part in the process of looking at the relationship openly to explore the patterns they can change together. In a healthy relationship, both partners work to help each other feel safe and secure. They use communication skills and techniques that end up supporting their partner even when they disagree with each other. In relationships that thrive couples strive to know what words and actions work for their partners. Most individuals in a relationship want the relationship to work. On a deep level, both are struggling to figure out how. Here are some questions to help you determine if your relationship needs some help. Do your discussions begin harshly with a negative tone? Do one or both of you demonstrate anger when with each other? Do you both criticize each other? Do you get overwhelmed when you try to explain your point of view? Do you experience increased heart rate, adrenalin release, or increased blood pressure when you are trying to explain something to your partner? Do you feel like you are having the same argument over and over? Do you just shut down when the argument becomes too heated? Do you look back on your life together and view it mainly through a negative lens? If you answered “Yes” to any of the questions above, couples counseling will help you. Remember, healthy relationships and partnerships are not dramatic, intense, abusive, or addictive. Healthy relationships feel safe and supportive, with partners wanting to get closer so they can both experience emotional and physical intimacy. Couples counseling is about helping couples along with their path of discovery and healing. This type of counseling focuses on boundaries, communication, and issues related to intimacy in the relationship. Couples counseling is for any couple who wants to work on improving their relationship or addressing the wounds that have occurred due to betrayal, infidelity, manipulation, or secret keeping. When addiction or compulsive behavior has been an issue in the relationship, couples work is especially valuable as they begin their own individual healing process. If you are interested in beginning couples counseling, or if you have questions about whether it will be helpful or not, please contact us. Give us a call at 562-431-5100.